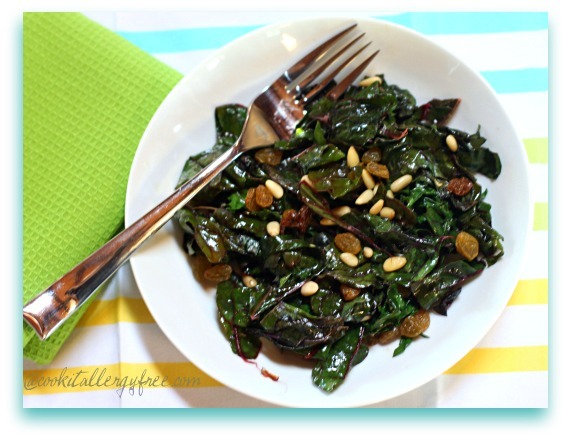 Below you will find my go-to lunch on a fairly regular basis – 5 Minute Swiss Chard and Kale Saute with Golden Raisins and Optional Pine Nuts. 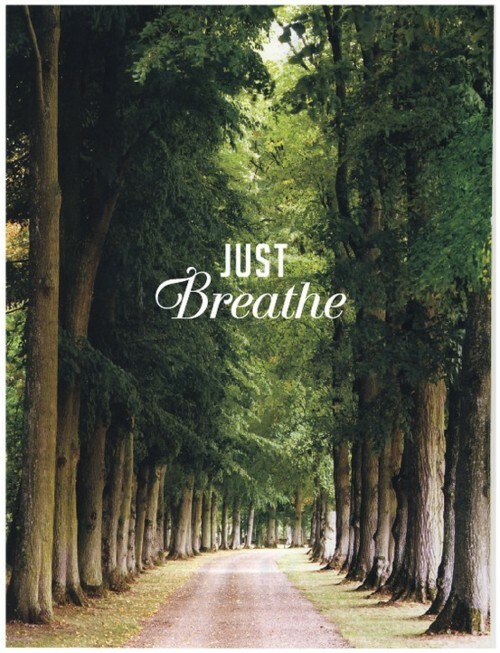 I thought I would share some fun inspirational words that I am hanging around my house these days (and posting all over our vision boards as well). Because…I am always thinking about how I am going to help my children to grow up to be the most confident, happy, joyful individuals/leaders that they can possibly be (and aren’t we all trying to do that these days?). My husband and I try to focus our parenting on doing what we can to foster this, but I thought that keeping some of these simple words out in plain sight as reminders for us on a daily basis would also be fun. Just note that I did not come up with the quotes written in rainbow colors – they are simply ones that I have collected over time. I am sorry, but I do not know who said them first. Because, after all, THAT is the most important thing. Oh. And when all else fails…. Swiss Chard and Kale Saute with Golden Raisins and Optional Pine Nuts (note that the pine nuts are totally optional and easily traded out or omitted). This recipe is the easiest thing to whip up and it is a great way to put to use all of the greens that are piled high in the stores right now and, incidentally, growing rampant in my vegetable garden. And yes. Please do not hate me. Here in Scottsdale, Arizona our winter weather is gentle enough to keep the fall gardens growing straight into spring (as long as you are diligent about covering them with frost cloths on many nights). BUT, if it makes you feel any better, we melt in the summer here. I think we have 100+ DAYS (yes, days) of 100+ degree Temps! Not much is growing here in our gardens then as all of yours are probably flourishing during your more moderate summer temperatures. 1. Heat the Oil (or Bacon Drippings) in large saute pan. Once heated, add Greens and cook for about 2 minutes. 2. Once greens start to shrink down and soften, add your Vinegar and Sea Salt. Cook for another 2 minutes. 3. Add Golden Raisins and Pine Nuts (or Seeds), unless omitting. Cook for 1 more minute. Then serve warm. Do you have any “happy thoughts” that you like to share with your children, or remind yourself of, on a daily basis? This is my kind of post on every level. The quotes, the sentiments, the enthusiasm, the gratefulness, the kids, and the recipe. This recipe looks like the breakfast I just had! Anyway, this is a perfect post Kim and such a good reminder of what is important in life. Yes, turn on your brights and shine big! Thanks so much for the support and the amazingly sweet words! You are awesome and such an inspiration!! So great! But really, when you’ve already got chard AND kale, do you even need more happy thoughts?? Love them all! Love the quotes, and this recipe! I feel you on the weather. We’ve had a really mild winter (not that our winters are typically bad) so my kale thrived all the way through! We don’t have as many 100+ degree days as you do in Arizona, but it’s a whole lot of hot+muggy around here! I love this simple combination of ingredients. Yum. You are a walking inspiration Kim … these quotes are simply the icing on the cake! Love them. Maggie, I think you and I are very similar in our parenting styles. So glad you liked the post! I completely love this post. Sometimes taking a second to really focus on the happiness and good in your life really does make things brighter. I love this one “Be so Happy that when others look at you they become happy too.” I really try to live by this one. Your greens look amazing too! Thanks for sharing this! You just brightened my day! Great post Kim! And since the garden you inspired me to grow is loaded with Kale right now, this is a perfect recipe! Love this recipe and love your words! 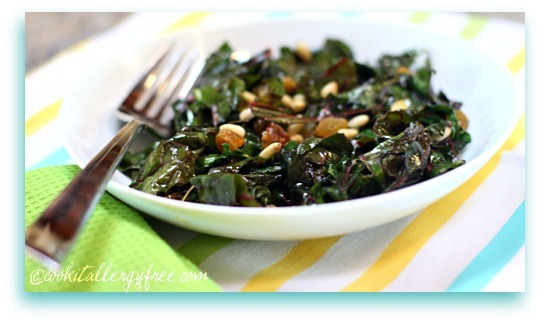 I have often done spinach with raisins and pine nuts but it would be oh so heartier with these awesome greens. Cara, I make this with spinach too, but I love the saltiness of the chard mixed with the greens (and I especially love it when I make it in bacon drippings 😉 )! WOW! …I don’t usually comment on blogs much –except for my art teacher’s blog 😀 , but this one is STELLAR! Thank you sooooo much for exuding joy and happiness. The world NEEDS it! …BTW, the recipe looks awesome! The world needs more greens, too! Kim–Have I told you lately that I love you? Seriously. What a phenomenal post! I will be coming here and reading this often and I’m already “grown up,” as is Son, but I think these words can inspire us all. Your garden is fabulous as it was when I saw it last in person. 🙂 What a great “go to” lunch! 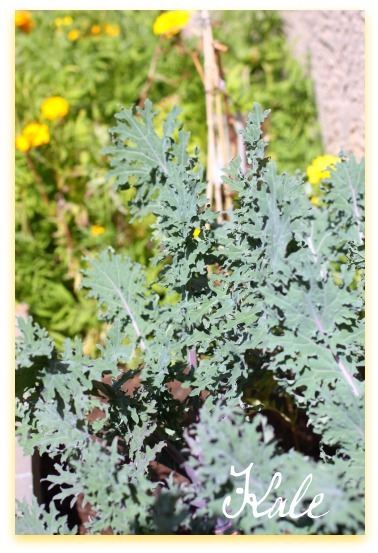 I’m growing kale at the moment, and this recipe looks so divine… I’m going to give it a go. Love this simple elegant kale recipe… I live on Vancouver Island Canada and we too actually have kale throughout the winter (but not chard)– what a blessing is that rugged green! Looking forward to trying this rendition! Hi Cynthia! Isn’t it fun to be able to just go pick a few greens and turn them into a meal? 🙂 Hope you enjoy the recipe! PS I love Vancouver Island! What a delicious looking recipe! I will have to try it. I love the inspirational quotes. What an awesome thing to instill into children, who are getting so much negativity from the rest of the world. It is amazing how our thoughts directly influence our behavior. You are setting your children up to succeed in life! Keep up the good work! ooh this sounds so delicious! I love greens! I can’t wait to try this recipe! Yes, very jealous of your garden! 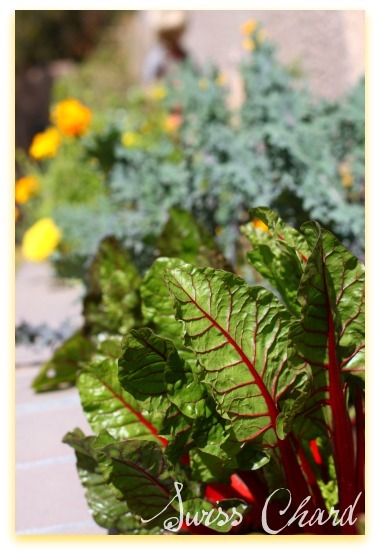 I love swiss chard and kale. In fact I just washed some kale for tomato kale soup, but will have to make this next time I buy some. Yum! That’s one of the things I like about the Internet, you search for a chard and kale recipe and not only do you find one (which I’m trying out tonight), but also there is some lovely words that remind us that the only way to teach our kids should be the positive one! I like the combo of the swiss chard and kale. Combining these cuts the saltiness of the chard. Very tasty and super healthy.